Based on this new finding, scientists say the lambeosaur roamed the Arctic about 70 million years ago during the late Cretaceous Period, according to a new study published Friday in the journal Scientific Reports. 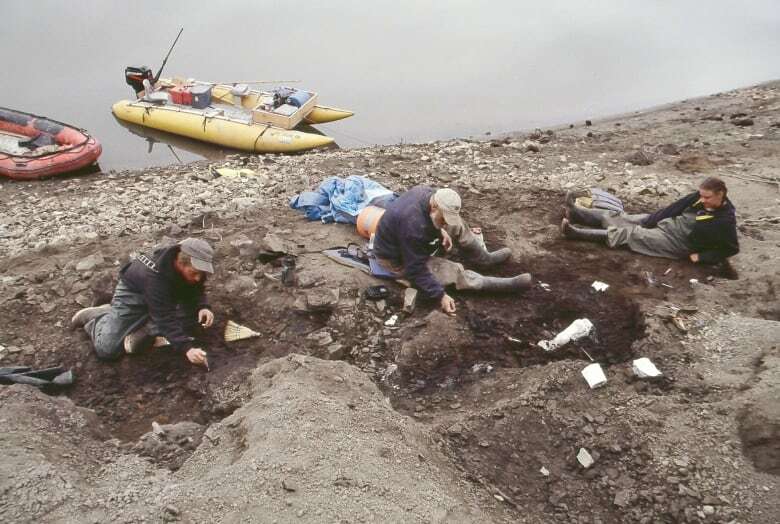 Paleontologists found the fossil in 2014 while excavating along the Colville River in Alaska, on the Liscomb Bonebed — bluffs along the river known to be rich in other dinosaur fossils. Anthony Fiorillo, whose team has worked in the area for the past two decades, says it mainly produced fossils of flat-headed hadrosaurs — large, duck-billed, herbivores — like the Edmontosaurus. “That is hands down the most commonly found dinosaur on the North Slope,” said Fiorillo, the chief curator and vice president of research and collections at the Perot Museum of Nature and Science in Texas. So when his team examined a strange piece of a fossilized skull in the lab, Fiorillo said he wondered if it belonged to a species of predatory dinosaurs called theropods. It wasn’t until a grad student from Japan’s Hokkaido University, Ryuji Takasaki, came to study the Perot museum’s dinosaur collection, that scientists put two and two together. They recorded the Arctic’s first definite lambeosaurine fossil. “That’s cool,” was Fiorillo’s reaction to the discovery. Duck-billed dinosaurs are so common throughout western North America, that they’re often called “the cows of the Cretaceous,” said Fiorillo. There are two main categories of the group — flat headed or crested. Fiorillo said the lambeosaur had a bony growth on the top of its head, and may have used it to communicate using sound amplification. Fiorillo said it’s possible that the lambeosaurs could have lived in better-drained, more upland areas of Alaska, where horned dinosaurs were prevalent — but more exploration of that area needs to be done to prove this. And though lambeosaurs were commonly found in the Alberta area, Fiorillo said he doesn’t think that particular group of dinosaurs migrated North. Fiorillo said this discovery may help scientists understand the connection between the duck-billed dinosaurs of Asia and North America. 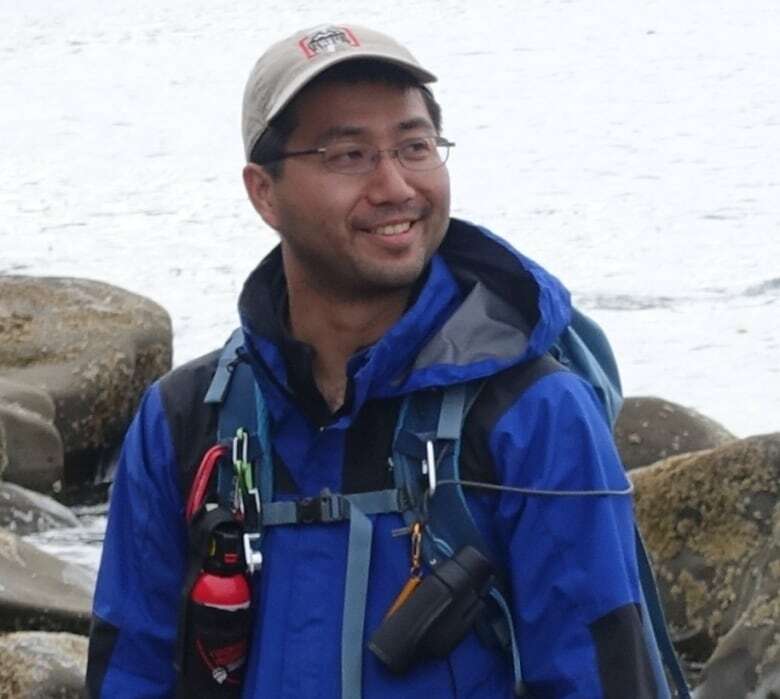 “It’s a piece that connects lambeosaurines of North America and Asia through Beringia,” Takasaki said in an email. Fiorillo said it was “particularly frustrating over the years” because he’s only heard of legends and rumours of crested, duck-billed dinosaurs from the Arctic. Fiorillo says he’s also been hoping to find an Indigenous story that helps him better understand his studies in the North Slope. Though he’s had several conversations with people from Indigenous communities in northern Alaska, the stories tend to focus on ice-age mammals, he said. “I have not yet found an Indigenous story that connects that culture to these dinosaurs,” said Fiorillo. Fiorillo says the significance in finding this unique dinosaur fossil increases people’s understanding of Arctic biodiversity. “Even in an ancient Arctic, it was a very rich environment capable of animals that thrived in it,” he said, adding that the Arctic was much warmer during that period. Fiorillo said the next step is to get back out in the field and hopefully discover more fossilized lambeosaurs.